The CAIT Secretary General said that taxpayers continue to pay taxes without any hope of dignity, security or benefits, while leaders like Rahul Gandhi continue to hand over taxpayers' money to the underprivileged class. 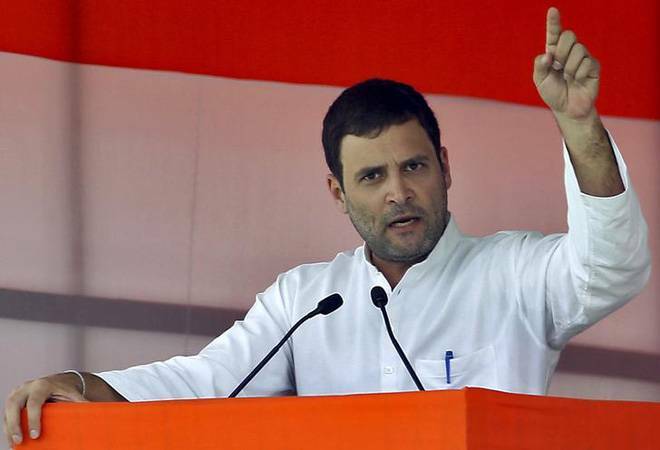 On Monday, Congress president Rahul Gandhi announced that the party would give Rs 72,000 per annum to 20% of India's poorest families if they come to power in the upcoming Lok Sabha polls. According to Gandhi, the scheme would directly benefit 5 crore families and 25 crore individuals. However, the Confederation of All India Traders (CAIT) believes that the one section of people this scheme will be detrimental to are the taxpayers. The association released a strongly-worded statement slamming the Congress president for its "unrealistic declaration". "It is deeply regretted that Mr Gandhi forgot to announce the source of such a whopping fund and it makes us to believe that this burden will fall on taxpayers, if his party comes to power. It is a declaration which has been made without applying any mind just for the greed of votes. It's ironic that loan waiver, other freebies burden always fall on the section that pays tax and gets nothing in return. It has become a fashion to impose all burden on taxpayers for fulfilling unrealistic declarations. Mr Gandhi has become an expert in making high but lofty declarations," said CAIT Secretary General Praveen Khandelwal. The association went on to say that perhaps paying taxes has become akin to sinning. The CAIT Secretary General said that taxpayers continue to pay taxes without any hope of dignity, security or benefits, while leaders like Rahul Gandhi continue to hand over taxpayers' money to the underprivileged class. While addressing a press conference, the Congress leader said, "After doing all the calculations several times, we have found that this scheme is fiscally possible." He added that the scheme would be implemented in phases, adding that the party would remove poverty from the country if it came to power. Allotting Rs 72,000 per annum to 5 crore families means a burden of Rs 3.60 lakh crore on the exchequer. This amounts to 13% of the Rs 27,84,200 crore budgeted expenditure for 2019-20 and is about 2% of India's total GDP. If this comes to force, then either India will have to follow its fiscal discipline path or find resources by trimming other welfare measures. However, Rahul Gandhi said that this scheme was finalised only after the party studied its financial implications and consulted economists and experts.